The non-profit training sector has played a prominent role in the design and implementation of ECD projects in South Africa. However, little accurate and up-to-date information on their size, scope, capacity and geographic distribution is openly available. 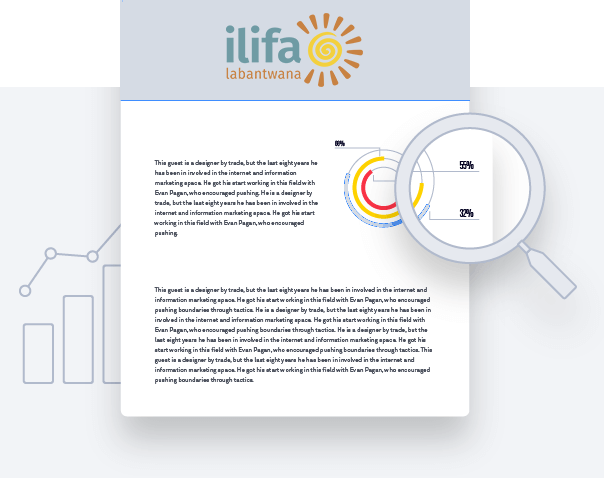 Ilifa Labantwana commissioned this survey of the NPOs offering ECD services, projects and programmes for children aged 0 – 4, in order to close this gap in knowledge and support efforts to scale up ECD in South Africa. Written by Linda Biersteker, Early Learning Resource Unit, and Pam Picken, Leadership in Development. Published by Ilifa in October 2013.